Choosing the right tiles for your project is as daunting as it is important. So we believe that the process of choosing and receiving them should be as seamless and stress-free as possible. Our team is approachable, attentive and patient and will assist you to the best of our abilities and help you either solve your problem, start your project, finish your project - or all of the above! Our biggest selling marble is the beautiful white-based Goia Carrara that we import directly from the source. These beautiful mosaics are both quality and afforable. They come in hexagons, fans, herringbone, mini chevron, basket-weave, tumbled squares, french pattern plus large herringbone and large chevron mosaics coming soon. Perfect for retaining walls, indoor and outdoor fireplaces, cladding and more - our range of Wall Stone is highly versatile. They come in granite or sandstone, in a variety of shades and styles. Some styles are also available with matching capping and corner pieces. Enquire about colours and prices below. One of our most exquisite and unique mosaics is the 100% mini round recycled glass that we have imported out of Italy. They can be used on walls or floors in soft-shoe areas so the only limit is your imagination! We have both mixed and solid colours so get in touch with us about the price and the colours available below. There are many aspects to designing and planning your home, business, project and so on. At Exclusive Tiles we have a team of designers, trade and tile experts that have been working together for over 10 years, so if theres not a problem under the sun we can't solve - or help you solve! The combination of decades of practical and conceptual tile expertise in our Exclusive Family means you have every resource, when it comes to tiles, under our roof. We are the biggest seller of tiling trade products on the Northern Beaches. The quality of our range of glues, grouts, waterproofing, sealers, angles, tools, primers and cleaners - to name a few - is second to none. As you can see below, we are proud to be the home of an impressive selection of top-tier trade brands that are on offer to our clients and account holders. See the full list here: Davco, Ardex, Maxisil silicone, Aqua mix sealers and cleaners,Wet and Forget, and Efflock. 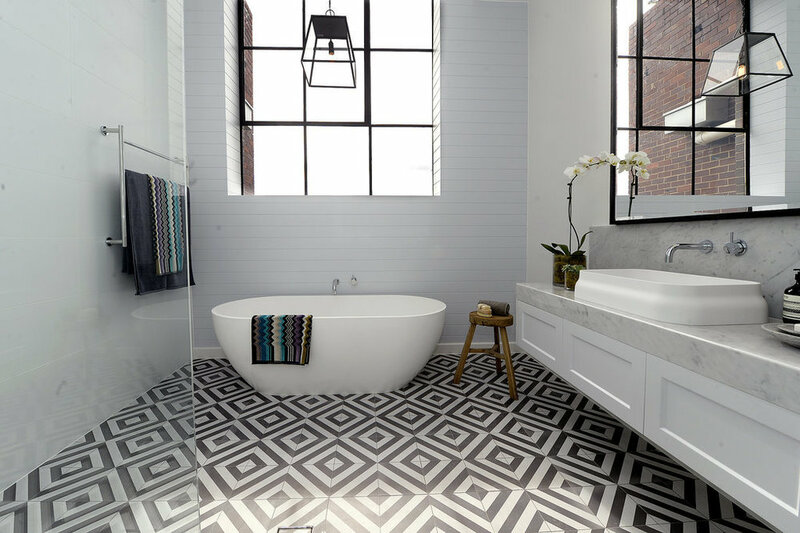 Our showroom and warehouse are full of hundreds of beautiful tiles and tiling products, in the centre of Brookvale's trade district on the Northern Beaches. You don't have to drive far from home to find a great selection of affordable tiles for your project. Come by and say hello!